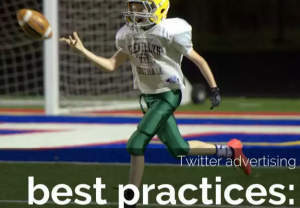 How do you advertise on Twitter with the best results? I recently had a chat with Linda Bolg, Head of Marketing at SocialBro, an end-to-end marketing campaign management solution for Twitter. Have a listen to the audio podcast above or keep reading for a summary of our conversation. Questions by me, answers by Linda. 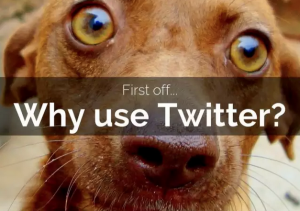 Why should we advertise on Twitter? There are really three very clear reasons why Twitter is a good place to reach a target audience. The first one is definitely the data available or the insights. So it’s basically the sheer richness of the data that’s available to brands. So in contrast to Facebook, for example, which is a closed social network, Twitter is open. And most Twitter users have a public profile. So what they say is publicly available. If you combine Twitter with a Twitter marketing platform, which offers really deep segmentation and targeting, you can find out things such as obviously target audience demographics, location and language, but also more importantly you can look at what they are talking about. And this makes Twitter very, very powerful because you can do segmentation based on the discussion people are having about your brand, about your competitor, about a particular topic, if you are doing real-time. So that makes it exciting and very different from Facebook or other platforms. The other thing I would say is the real-time capabilities. Twitter is, without a doubt, one of the best real-time marketing platforms. So whether that’s through organic tweets or Twitter ads, it is also the best platform for aggregated real-time content. So if you’re doing Twitter ads and you choose to have your Twitter-promoted tweets to show up in your timeline and people are coming to Twitter to look for real-time events, that is incredibly powerful, too. How do you optimise a campaign? The best advice I can give is to use the tailored audience campaign option. The tailored audience campaign setting within the Twitter advertising platform allows you to build your own bespoke lists that you want to create your campaign for. And if you are using a Twitter marketing platform where you can do the deep segmentation, you can create super tailored lists and then you can have really creative ads that fit really, really well with your niche lists. And that is how you get great ROI, really targeted campaigns. The other thing I would say is to make sure that you’re using your objective-based campaigns right within the Twitter ads platform. There are a few different options, so really think about what it is that you’re trying to achieve. Is it driving leads? Is it driving website traffic? Is it downloads of something? Make sure you picked the right objective-based campaign within the platform. Something which is fairly new to the platform is the user transaction values data. If you’re an e-commerce business and you’re selling products online, it’s similar to Google Analytics. So think about the goals in Google Analytics. It works the same way, but you can add the actual value to each goal so you can see the ROI within the platform for each campaign, which is really good. Another thing I’d say is experiment with your bid price particularly if you are targeting Twitter users in different regions and in different countries. The Twitter advertising platform isn’t available in all countries yet, but you can still target users within all countries if you are account managed by Twitter. So test, experiment with your bid pricing. If it’s not a real-time campaign and your content for your tweet is more evergreen, you could, for example, lower your price, leave it running for a little bit longer and just see how that works out for your ROI. I’d definitely also recommend that you think about what kind of users that you could be targeting and what devices. If you’re an app developer, for example, for Android, I’d say target Android users, but don’t target the other ones. If you, for example, haven’t got a mobile-ready website, which you should have these days, but if you haven’t, don’t go after the users that are using Twitter on mobile. You have those options, so make sure you select what will work for your campaign. And I think absolutely the most important thing is that you keep on testing. Test, have at least three tweets with different creatives, with different copy in each campaign. Make sure that you’re testing different lists, test different messaging, and just keep on testing, and you will find what works for you. Connect with Linda on Twitter @LindaBolg and get more inspiration at the SocialBro blog. An unabridged version of this conversation is available here.